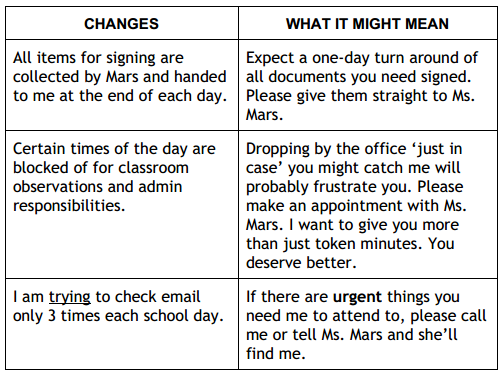 With these things in place, I actually hope to see more of you in your classrooms and also find more time to be with students. I have a few weeks before the first semester is done to make improvements. Thanks for helping me serve you better. - You only need to enter achievement grades in Markbooks -- no attitude and work habits grades required. Please remember to simply replace/write-over the achievement grades already in your Markbooks (instead of creating a separate task). - Please enter comments for each student who gets a grade lower than a B-. There is a character limit for comments. Your comments get truncated if you exceed this limit.